Bicycle designer Gavin Smith has come up with a new bicycle design that will help people with disabilities to ride the bicycle independently. Sometimes disabilities like cerebral palsy can affect the basic motor functions such as balancing which results in their inability to ride a regular bicycle. 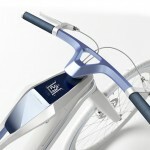 The bicycle is designed such that the supports automatically allow them to balance and operate the same effortlessly. 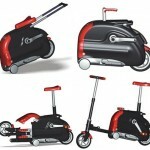 The design also instills confidence so that they can ride the bike without any assistance. Overall this is a good effort for community development and a nice thought which is a welcome change from all those high end concept cars. 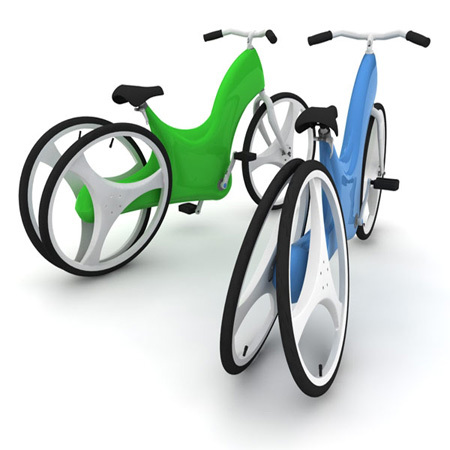 This product is designed to assist people with disabilities to independently ride a bicycle. Disabilities such as Cerebral Palsy, Intellectual Disabilities and Acquired Brain Injuries can affect basic motor functions such as balance and strength, hindering their ability to operate a bicycle as an individual. This bike supports the rider’s disability by helping them balance the bike, be effortless to operate and also looking and functioning like a main stream bicycle. 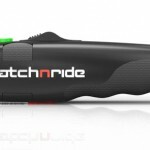 This helps the rider gain the independence and confidence to ride a bicycle without assistance. 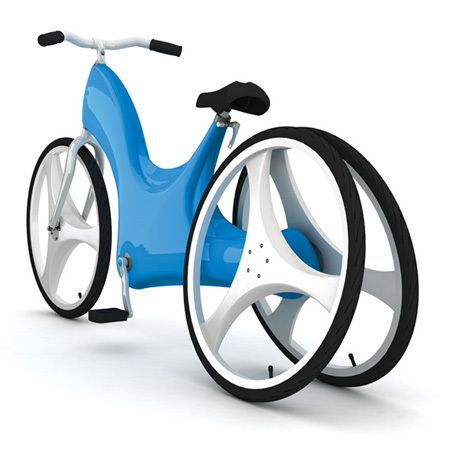 Although this bike has been designed specifically for people with disabilities, there is no reason why this product cannot be used or adapted for other demographics. 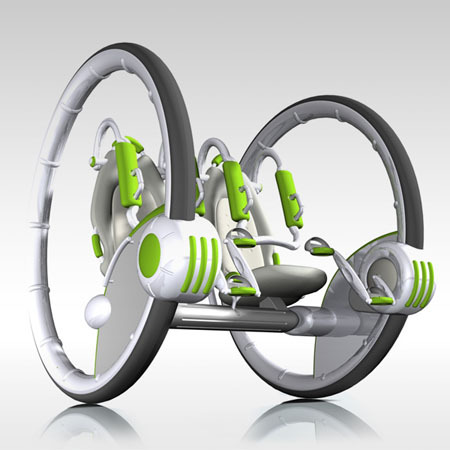 This bicycle was created to support the physical limitations of a person with a disability. 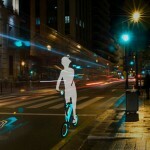 As a result, this gives the rider the confidence to independently ride a bicycle. This helps increase the riders self esteem and encourages them to become more active in society. Tagged as bicycle design, brain injuries, concept cars, gavin smith, intellectual disabilities, motor functions. The design looks stunning and the propulsion device is worked out in detail. Is the bicycle tested out by the mentally disabled target group? What are their experiences? You like independently, i can see that. And I really like the design and idea!! But have you thought about getting on and off the bike? I am interested for my 13 yr old autistic child. I just discovered your site. I am a person with a disability that has prevented me from doing something I loved to do as a child; ride a bike. I recently saw your bicycle design and would love to get more information including cost. I wasn't sure where to direct my inquiry..I hope this was ok. 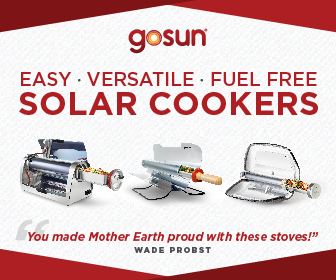 Thank you for your innovation! 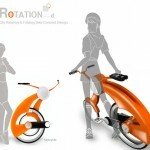 Hi Carolyn, this bike is only concept at the moment, it's not commercially available yet. 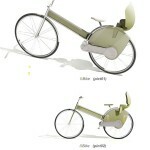 I appreciate you so much for the new design of a bicycle for people living with disabilities.Please keep it up. How i wish to have one for my people who are physical challenged. I would be interested in this bike as well. There is such a need for a cool looking bike that provides independence. In Canada. And have a 10 year old with cp! She would loved ones! Or to be a tester! Have you reached out to cp associations and rehab hospitals for testing? Please feel free to contact me my daughter would love to trial this! Anything to foster the future of indepence for kids with disabilities! 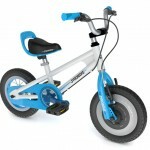 I think I would love for our son to try a bike like this, but there are still some issues for our 6 year old with CP. With his cp and I am sure many others, he has a issue with reciprocating his legs and uses his upper body for a majority of his daily activities. So a hand cycle version would be awesome. The only other issue with a majority of these medical devices are they cost so much and for families who don’t receive any assistance, it is extremely hard to pay for these. 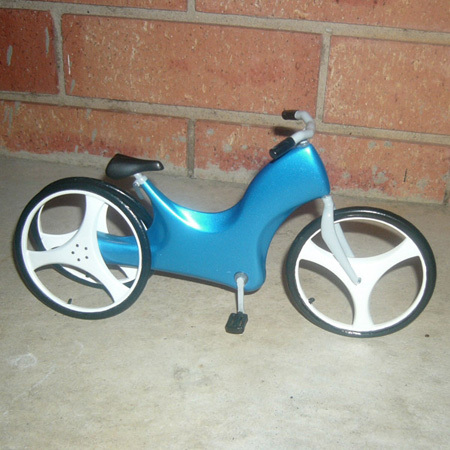 But I would like to thank you for designing a more adaptable bicycle for these amazing children. 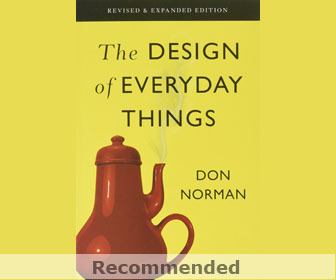 To the designer: I would rework the body a bit if I were you. remove the body work between the seat and handlebars. 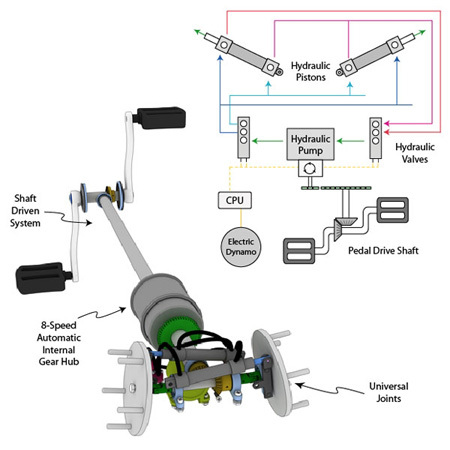 Go down to the drive shaft, to minimize the distance you have to lift your leg to get over the drive shaft. So it looks more like the woman’s bike vs man’s bike. This suggestion comes directly from person with disabilities. Who use a bike for mobility related disabilities. I want to buy this bike for my son (13 Y). Is it possible to shipping this bike to Austria too? How much does it cost? Hi my 8 year old grandson has ASD and has a balance issue with his bike and refuses to even try anymore. A bike like this is cool and different looking while addressing the balance issue without the training wheels. Please send more information. Thanks. I’m very interested in having one of these backs for me daughter. Please let me know when and where they are available. where can I purchase this bike and what is the approximate cost? My grand daughter has Williams Syndrome and deals with both physical and intellectual challenges, yet is still a tween and wants to be cool too! This bike looks very cool and would be a cool birthday gift for her!